Busy Bees at Derby Heatherton - Chicks! On Monday 26th April 2018, Busy Bees at Derby Heatherton had a delivery of 9 little eggs. Over the next few days the children, parents and staff, started to watch the chicks crack the eggs and start to grow. 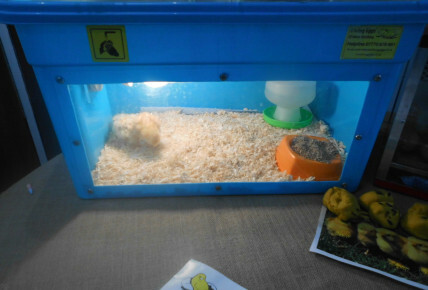 We made sure the brooder was nice and warm for them with fresh water and food for them to continue to gain their strength and get big and strong. All 9 eggs hatched by the Friday and after a long weekend of relaxing at Emma's House (the manager) the children were able to then hold them and care for them daily. 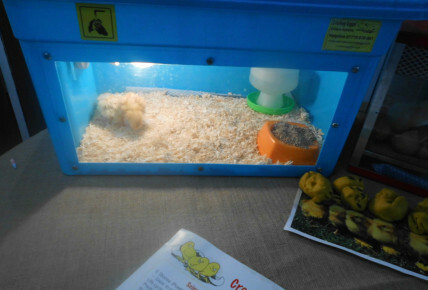 The children understood just how delicate the chicks were and how careful we needed to be. 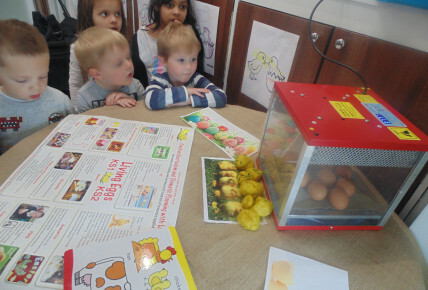 All the children learnt the life cycle of the chicks and were fascinated by how quickly they were growing with one child stating that, 'my baby brother doesn't grow that quick'.